Does the Paleo Diet Contain Too Much Protein and Not Enough Fat? When you are treating insulin/leptin resistance, I believe most would benefit by decreasing carb consumption, and replacing them with healthy fats. Replacing carbs with too much protein can actually cause health challenges similar to eating too many grain carbs and sugars. The Paleo Diet is about 38 percent protein and 39 percent fat, which may actually be too much protein and not enough fat for optimal health. When you consume protein in levels higher than recommended above, you tend to activate the mTOR (mammalian target of rapamycin) pathway, which can help you get large muscles but can also increase your risk of cancer. This pathway is ancient but relatively recently appreciated and has only been known for less than 20 years. Odds are very high your doctor was never taught this in medical school and isn’t even aware of it. Many new cancer drugs are actually being targeted to use this pathway. Drugs using this pathway have also been given to animals to radically extend their lifespan. But you don’t have to use drugs to get this pathway to work for you. As mentioned, when you reduce protein, you need to replace it with other calories, so the key is to replace the lost calories with high-quality fats such as avocados, butter, coconut oil, nuts, and eggs. Your healthiest option is to ensure your carbs come primarily from fresh, organic vegetables, eat limited amounts of high-quality protein, and eat primarily a high-fat diet. Depending on the type of carbs (high fiber or not), most people need anywhere between 50-75 percent fat in their diet and sometimes even higher for optimal health. ← What Do The Critics Say About Paleo Principles? What Food Can I Eat On The Paleo Diet? What Exactly Are You Eating? What Do The Critics Say About Paleo Principles? 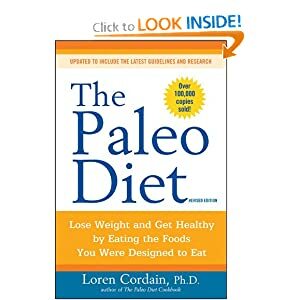 The Paleolithic Diet: What Is It? © 2019 Paleo Diet. PaleoDietInsider.com. Let’s take back your health— Starting Now! Find out why the Paleo Diet is one of the safest and most effective weight loss strategies available. You will find out how you to can get a powerful, easy to follow blueprint that takes you by the hand & shows you how to banish that bulge once and for all, look vibrant & youthful once again and feel fitter and healthier than ever before!